Andy Priaulx grabbed headlines when he signed for champion squad West Surrey Racing earlier this year. He joins the 2015 Dunlop MSA British Touring Car Championship grid as a three-time world champion but hasn’t raced in the top British series since 2002. 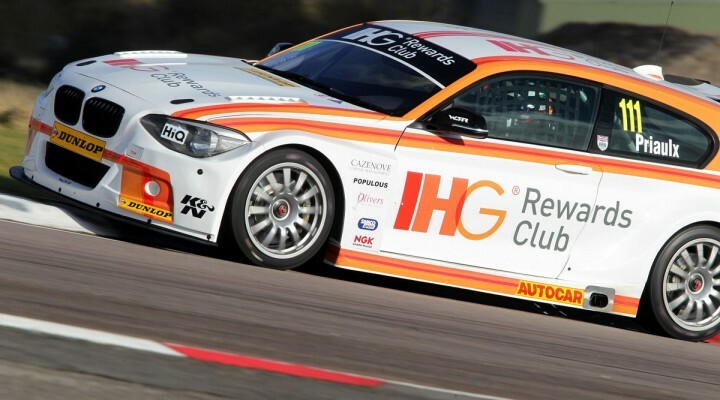 Over the past two days Priaulx has been at Thruxton behind the wheel of his BMW 125i M Sport for the very first time. Having raced in a variety of cars in the last few years, the Guernseyman was taking things steadily in the cold conditions. “The car is really what I expected,” said Priaulx. “Coming from a GT/GTLM car it’s been quite a big transition and obviously that’s something I’ll have to get used to because it’s something I’m going to be doing throughout the year.